This page provides more detailed information for architects and engineers who are acting as an Owner’s Design Consultant (“ODC”) in a Bridging method project, as well as for consulting engineers who support ODCs in Bridging method projects. The page also provides information for program managers who represent the Owner in a project carried out by the Bridging method. I. Services of the Owner’s Design Consultant (ODC). This section of this page provides guidance to architects who are acting as, or proposing to act as, the Owner’s Design Consultant (ODC) for a project to be carried out by the Bridging method. Shown below are two diagrams which show the relationship between the parties in a Bridging project, in one form there is a Program Manager (“PM”) for the project, and in the other form there is no PM. In that case, the ODC provides the needed program management services. Note: The ODC's consulting engineers report to and contract with the ODC in both of the arrangements shown above. See the footnote at the end of this page with respect to the term “Bridging Architect”. 1. First, review the details of the Bridging Method in the first section of this website. Before preparing the Bridging Contract Documents, the ODC develops and prepares the Schematic Design Documents for review and approval by the Owner. This should be done in the same way that architects and engineers typically prepare the first phase of design documents under the traditional Design-Bid-Build method. The second phase of the design work by the ODC supplants the typical “Design Development Phase” of a project carried out by the traditional Design-Bid-Build method. Instead of preparing Design Development documents in this phase of a Bridging method project, the ODC will be preparing design-build type bid (or negotiation) documents. These are referred to as the Bridging Contract Documents. Based on these documents the Owner can then receive competitive Design-Build fixed price proposals or negotiate a fixed price and time of completion contract with a design-build contractor. 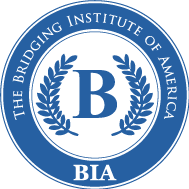 Thus, by employing Bridging, the Owner receives a firm fixed price and construction completion time proposal from design-build bidders with this having been achieved in about half the time and at about half the document preparation cost to the Owner to the point of having a firm, fixed price. While these Bridging Contract Documents (BCDs) consist of both drawings and a written document, they will be different from typical Design Development Documents. It is a serious mistake to prepare these documents in the same way Design Development Documents are typically prepared, though there are some similarities in some parts. The basic concept in the preparation of these BCDs is that the ODC is preparing contract documents which are for a design-build type of contract between the Owner and a Design-Build Contractor as opposed to typical contract documents for a contract that is for construction only, and which are based on “100%” drawings and specifications. In preparing these documents, the ODC will be designing and tying down those aspects of the project that need to be tied down so that the Owner will receive the expected end result while leaving as much latitude to the Contractor as is feasible and wise. If there is doubt about how to proceed with a particular part or aspect, the ODC should err on the side of specificity. As in traditional Contract Documents, the Bridging Contract Documents (BCDs) will consist of drawings and a written document. The drawings are referred to as the “Design Guide Illustrations” (DGIs) and the written document is referred to as the “Owner’s Minimum Requirements” (OMR) whereas the documents prepared by the Contractor’s AE would still be referred to simply as the “Drawings and Specifications”. The Owner is entitled to everything that is illustrated or specified in either the Drawings or Specifications prepared by the Contractor’s AE or the DGIs and the OMR prepared by the Owner’s Design Consultant. In case conflicts between these two sets of documents occur, the Contract between the Owner and the Contractor should stipulate that the DGIs and OMR prepared by the Owner’s Design Consultant shall prevail. For most building types, including such projects as office buildings, schools, hospitals, college buildings, apartment buildings, and commercial buildings, the basic approach is for the ODC to design and/or tie down those aspects of the end product that can be seen, touched or operated while leaving extensive latitude to the Contractor and the Contractor’s AE for those aspects that are not seen or touched, such as foundations, structural frames and plumbing system piping (though, in the case of the plumbing system, the ODC’s selects the plumbing fixtures and fittings in detail). Likewise, in other systems, such as the electrical system, the ODC would typically leave to the Contractor’s AE the preparation of most of the drawings and specifications. Thus, typically, while there will have been consultation with the ODC by the ODC’s Consulting Engineers in the traditional Design-Bid-Build method, there would normally be fairly extensive architectural aspects drawn and specified by the ODC under the Bridging method. However, there would rarely be any engineering drawings though there will be fairly extensive stipulations in the OMR as to the type of engineered systems and their requirements and capabilities. For example, for the plumbing system there would be full selection and specifications of the fixtures and fittings with detailed model numbers, preferably with model numbers for three or more manufacturers of each type of fixture or fitting. In the case of mechanical systems, the ODC will have extensive discussions with the ODC’s consulting mechanical engineers and, to the degree that it is needed, tie down the type of systems and fuels. The ODC and the ODC’s consulting mechanical engineer will make such basic decisions as necessary for the Owner to be the recipient of the appropriate and expected type of systems and capacities for each system, with the ODC’s consulting mechanical engineers having tied down those specific aspects and issues as are specific requirements of the Owner. There would typically be full specifications for hardware unless the hardware is to be purchased under an allowance, with the OC making the final selections on behalf of the Owner and incorporating the hardware section in the DGIs or the OMR. Thus, the ODCs bid documents will probably not include engineering drawings with the possible exception of some aspects of the site work. However, the architectural drawings, depending on the various items, will mostly be taken to a level somewhere around 60 to 90% of typical architectural drawings. However, per above, schedules of such items as hardware, light fixtures and plumbing fixtures will be at the 100% level. With response to the site work, there would typically need to be at least some aspects of the site engineering may be covered by drawings so as to tie down the desired end result, along with site work specifications. This will vary a good bit from project to project, depending on the extent and scope of the site work. Again, though, with respect to site work, the ODC must tie down, one way or another, everything that needs to be tied down for the Owner to receive the expected end product without any change in the original contract price. II. Detailed information about the ODC’s Consulting Engineers’ services to the ODC for an “architectural” type project being carried out by the Bridging method. Each of the ODC’s Consulting Engineers shall prepare a Schematic Design narrative to be a part of the ODC’s Schematic Design Documents. In the ODC’s agreements with the ODC’s engineering consultants, the various specialty engineering consultants to the Owner’s Design Consultant (ODC) will provide engineering consulting services to the ODC. Typically that will include consultation with the ODC for the Structural, Civil, Mechanical, Plumbing, Electrical, and any other such system(s) or components. Each such consulting engineer that is part of the ODC’s team is referred to below as the ODC’s Consultant for the respective system. Example: “ODC’s Electrical Consultant”. In all cases, these engineering consultants will provide the ODC with requirements for the design of the various services but will not be the design engineers for any of those systems. Acting in concert with the ODC, each of the ODC’s consultants engineers will report to and support the ODC in setting design criteria for each system, reviewing the design and specification work of the Design-Build Contractor’s consulting engineers, reviewing the relevant sections of the Construction Documents prepared by the Design-Build Contractor’s Architects and Engineers, observing the work during construction in coordination with the ODC. On larger projects the ODC’s consulting engineers would have one or more full time inspectors at the construction site(s) and assisting the ODC and/or Program Manager in approving or rejecting progress payment requests, and providing other typical services as representatives of the ODC and the Owner during construction and acceptance of the completed project. During construction the ODC’s Consulting Engineers will be the main observers representing the Owner to review the work of each consulting engineer’s segment of work. Also, the Contractor’s AE will check all shop drawings and pass the checked and approved shop drawings by the appropriate ODC’s Consulting Engineers for a short opportunity for optional review of those documents. However, the foregoing opportunities for review by the Owner’s consultants may no be relied upon by the General Contractor or the GC’s relevant sub to carry out detailed reviews. The latter should be stipulated in writing in an appropriate document in advance of the commencement of construction. As part of the ODC’s various specialty Consulting Engineers, each of them shall prepare Performance Specifications as part of the Owner’s Minimum Requirements (OMR) for their respective systems to be parts of the OMR. The degree of detail and depth of these documents will vary to be appropriate in each case as guidance to the Design-Build proposers as well as for the protection of the Owner. Each of the ODC’s Consulting Engineers will provide periodic reviews of the Design/Builder’s Engineer’s preparation of detailed contract and construction drawings and specifications for conformance with the Bridging Contract Documents. For medium to large projects, these reviews will be frequent, to the point of virtually continuous on very large projects. Define standards for materials and equipment to be used for ductwork, piping insulation, etc. Define Testing, Adjusting and Balancing requirements. Define Plumbing Design Criteria and requirements. Fully define the Plumbing fixtures and viable accessories. Define standards for materials and equipment to be used for sanitary, domestic water and gas piping. Define Design Criteria and stipulate requirements to be used for Fire Protection System. Define standards for materials and equipment to be used for fire protection piping. Define Commissioning requirements (if required). Stipulate minimum codes and standards. Define Design Criteria and requirements to be used for electrical load calculations and distribution equipment. In consultation with the ODC, define equipment room location and sizes. Define emergency power system requirements (if required). Define standards for materials and equipment to be used for lighting, receptacles, transformers, panels, switchgear, etc. In consultation with the ODC, define locations for general and special lighting except where general lighting foot candle levels are acceptable. Where lighting fixtures and systems are an integral part of the architectural design, lighting should be fully defined and illustrated. In consultation with the ODC, define locations for receptacles, switches and other devices. Stipulate requirements for Life Safety Systems. The authors of this document recommend that if a Construction Program Manager (“PM”) is going to be engaged by the Owner of a project or group of projects, that the PM be engaged before the Owner’s Design Consultant (ODC) is engaged. As part of the PM’s services then, before the ODC is selected, the PM should determine that an up-to-date Program of Requirements along with a Design/Construction schedule, exist and that those documents have been approved by appropriate representative(s) of the Owner. Further, if some level of planning or design must be done to determine the budget or develop other info about sites, etc. that should be done under a separate design/planning contract by the ODC or by a different architect or programmer. The PM should then work with the Owner to be sure that there exists (or that the PM prepares) an up-to-date cost budget and time schedule that takes into account the budget which is based on the approved Program of Requirements, land acquisition, financing, cost of furnishing, and all other project cost budgets. With the above info in hand, the PM should set a fair and reasonable fee and payment schedule for the ODC’s compensation so that fee is not a consideration in the selection of the ODC. Then the PM would assist the Owner in selecting the firm which will serve as the ODC. In the process, the PM and the Owner together should agree on the PM’s services including services during construction so that the contract with the ODC can be developed per the Owner’s wishes in that regard. Typically the PM’s construction phase services will consist of one of the three following arrangements. The PM acts only as the Owner’s rep/advisor with the ODC providing all construction observation including both periodic visits from the various specialists or, for large projects, having one or more full time ODC employees at the site for projects that are large enough to require full time site services. The ODC provides construction observation visits per an agreed on schedule, but with the PM providing one or more full time observers and managers at the site. The ODC only provides consulting as called on with the PM providing all observation and management services for the Owner during construction including one or more full time observers/managers at the site. Keep in mind that the Contractor’s AE should not provide the construction phase services for the Owner - - except for checking shop drawings - - as construction observation and reporting services provided by the Contractor’s AE would constitute a conflict of interests because of the design-build contract that is employed in a Bridging method project. Footnote about the term “Bridging Architect”: Some architects acting as the Owner’s Design Consultant (“ODC”) may prefer to use the term “Bridging Architect” instead of “Owner’s Design Consultant”. However, it is recommended that the term Owner’s Design Consultant (“ODC”) be employed to avoid confusion with the Contractor’s Architect and Engineers. Also, it is believed that this nomenclature will also make clearer the ODC’s lack exposure to professional liability claims in a Bridging type project.